Get up to speed in a new world of DiRT. Don’t settle for second place – put your foot down in over 40 of the most iconic and relevant rally cars from yesteryear through to modern day. Experience the white-knuckle feeling of full throttle speed in six massive rallies from over 70 stages. From the muddy paths of Wales to the legendary hill climb of Pikes Peak, DiRT Rally delivers challenging, uncompromising racing – all from the comfort of your own home. Fulfil your rally driving dreams in the Championships, where victory in racing events earns you points and money. Work with skilled in-game crew members to repair and upgrade your mean machine, and fine-tune your performance to speed up to the top division. Fancy a different challenge? Then clean up the competition in custom rally events, online challenges against the DiRT community, bumper-to-bumper multiplayer racing and fully customisable leagues. Go online and speed ahead of friends and other players across the globe, with PlayStation Plus. 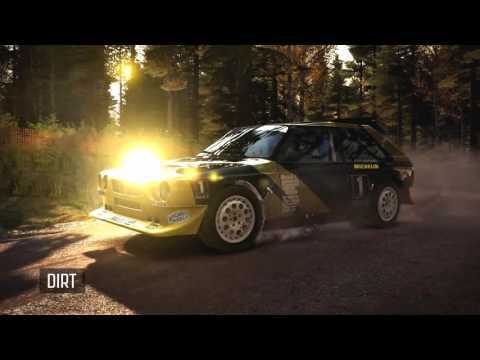 Buy DiRT Rally on PS4.